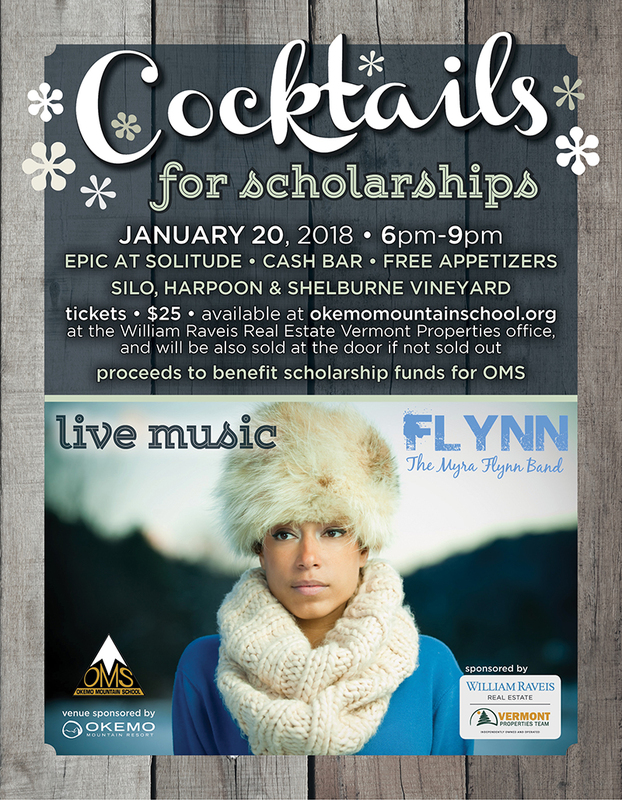 Join us for a night of cocktails and music in support of the Okemo Mountain School Scholarship Fund, sponsored by William Raveis Vermont Properties. The event is taking place on Saturday, January 20th, 2018 from 6-9pm at Epic at Okemo Mountain Resort. The Myra Flynn Band will be playing and sponsors, Silo, Harpoon, and Shelburne Vineyard will be present. Tickets are limited. Online ticket sales are closed. A limited number of tickets will be available at the door.